Имате въпрос към Aziza Syariah Hotel Solo by Horison? Идеален за развлечения и отдих, Aziza Syariah Hotel Solo by Horison се намира в Pasar Kliwon, който е един от районите на Соло. Само на 7.4 km от градския център- това стратегическото местоположение на хотела гарантира на гостите си бърз и лесен начин за достигане до интересуващите ги точки на града. С удобното си местоположение хотелът предлага лесен достъп до всички градски забележителности, които задължително трябва да се видят. Първокласните хотелски услуги и съоръжения, които определят нивото на Metropolitan Golden Management (MGM), са на разположение за Вас в Aziza Syariah Hotel Solo by Horison. Подбор на съоръжения от най-висока класа като 24-часов рум-сервиз, безплатен WiFi достъп във всички стаи, таксиметрови услуги, 24-часова рецепция, съоръжения за инвалиди, са на разположение за Вас в хотела. Гостите на хотела могат да изберат една от 93 стаи, в които се усеща атмосферата на спокойствие и хармония. Освен това в хотела можете да се възползвате от множество предложения за приятно прекарване на свободното време. Каквито и да са поводите за Вашето пътуване,Aziza Syariah Hotel Solo by Horison е най-доброто място за престой, което можете да изберете в Соло. Location for this hotel is very good and closed to tourist attractions. Unfortunately as a new hotel was built room is not in good maintenance such the room wall has many dot's because leak from the roof, towel is not clean, breakfast come with no variety and the hotel doesn't have the pool for adult only for children. I totally had a great stay here. I just came down from hiking Mount Merbabu and the driving from the basecamp to the hotel took about 1,5 hours during the night. The check in was fast, the staff was very helpful, I couldnt find anything to eat around the hotel at night when I arrived but the hotel room service was 24 hrs and the food price is not expensive (I ordered nasi goreng and it's surprisingly delicious). Strategic location where it is walking distance from shopping area which is pasar klewer, pbs and also wisata kuliner galabo. Great staff performance and hotel facilities. My only issue here is, they can't provide iron for us at night, then we have to go to the airport on next day without ironing our dress. Went to Solo for leisure and business with my family and my 1 year old child. Overall the hotel was nice, there are a connecting door inside the room so we feel very pleasant yet comfortable. The location only 200 m near Beteng and PGS. But the room is not well carpeted. We booked from Agoda and the price is cheaper than the hotel itself. So far, we loved to stay here, near to tasty foods (Sate Pak Bejo 👌🏼) and there's market and baby shop near to the hotel. The room is quite clean (sheets and bathroom) Unfortunately, the pool is too small. Keep a great work! this hotel is very nice and even the first time you see from the outside maybe you will think this hotel is little, but don't judge a book by its cover, the hotel actually very nice , clean, kinda big space room, easy connecting door, very clean, and yes its islamic hotel, sooo couple that still not married cannot sleep together here. anyway, the staff was sooo nice, the room was soo clean and its good to stay long here. Before i explore further about my trip, I travelled with a 23 months toddler, sister and mom. 1. The hotel location: its so convenient,just around the corner of marjet place where you could buy souvenirs in bulk with good quality yet reasonable price. Lots of food choices to eat and transport are easy as well. with a regular tricycle person standby infront of hotel. 2. The hotel room: I got room 308. with a single large bed. The airconditioner was so Cold which is great for it was the most important part in the room. the bed and pillow are so fluffy and the room was so clean. the bathroom is a standing shower with hotwater bath available. simple clean room. how ever its juz a litle dark at night if you have a business trip or to read. suggest to bring a sidetable lamp if needed. 3. the hotel staff: all were kind. and proffesional. overall Nice stay, Comfortable for a long trip with WIFI in the room! SUPER SUPER DUPER HEAVENly wobderfuL! thankyou AZIZA SYARIAH HOTEL ! This is the 1st im here, and 1st impression this hotel awesome. Easy to check in and you'll get hot ginger for welcome drink. Prayer mat available at room, and this hotel have ethnic architecture in the ceramic's restaurant. The location is near from keraton, and main street (slamet riyadi). manned by well motivated staff Aziza hotel is a good choice for stay in Solo. It is located near the Kraton. Alun Alun .the temporary Klewer market and the Batik Village.The wholesale batik centre BETENG is just acress the road. Public transportation facilities are excellent. The nightly GALABO hawker centre provides ample cuisine experiences. 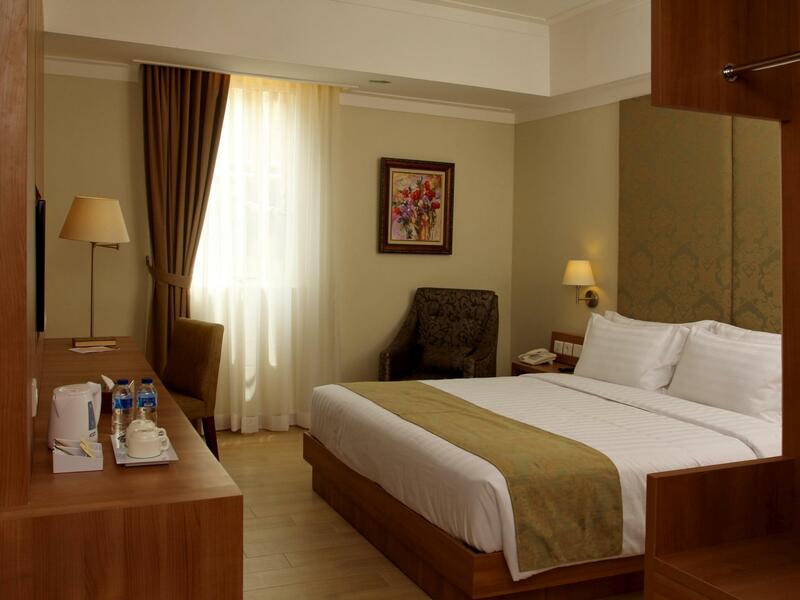 Aziza hotel is well recommended choice for Solo stay. We spent 2 nights at this hotel. Check in/out was easy without hastle. Room was just sufficiently sized and equiped, not too small compared to some hotels with similar price. 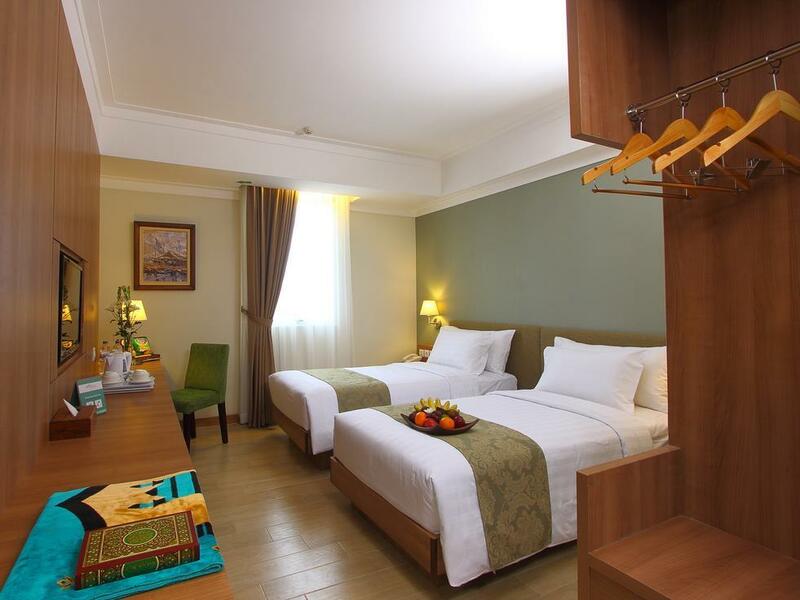 Since the hotel is quite new, the room is more modern, pleasant looking and clean. For the price, we didn't expect to have a variety of choices for breakfast, more than suficient for our needs. Since part of our trip to Solo was looking for batik related products, the hotel is just walking distance to places like BTC, PGS and Klewer market. This is my first time, comfortably hotel for a family with children, they use "syariah" and I guess it's really make me feel nice. The place is close to PGS, and some street food on the night. I will back to this hotel again if I go to Solo. This is a good hotel, considering this is a new hotel and they need to be more attentive to guest request. Check in time is late, considering I have informed them in the morning and staff has confirmed on my room. 1.40 we came they still mention room not yet ready. I have request to borrow ironing and need to call for 3x until the last person mention will delivery personally to my room. The key room apply only on each floor which difficult for us who booked 6 room and placed in different floor. The good things, that they help me to print my flight trip with free. The food also good in taste with very reasonable price. The overall is satisfactory with the value of money. We're really enjoyed our stay at Aziza Solo and felt like at home away from home. The staff were polite and helpful. The hotel's location was ideal, situated in the centre of Solo city next to the Sultan's Palace and Shopping Center. We will stay again in the future trip to Solo. if completed with towel more better. 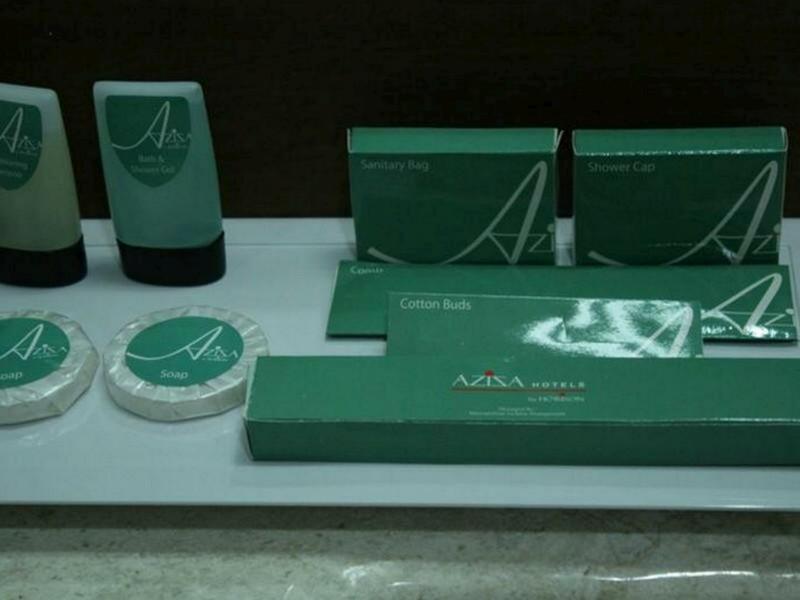 I was so happy staying at Aziza Hotel. It's so clean, value for money, perfect location near Pasar Klewer and traditional foods to find easily, all staff is so friendly, breakfast was good and tasty. Hotel is beautiful and clean. The staff is pleasant and helpful. The location is close to foods center. Very recommended to every one to stay in. It is located next to the batik market. Good hotel for those who want to shop. Although it is located not far from PGS, it was a quiet place. I recommend this hotel who travel with families as well. This was our second visit to this hotel. Because the visit is in fasting month, they prepared also early breakfast. The food was OK.